Chris Fisher was a recent college grad with a pregnant wife and was considering taking a steady sales job. But he kept thinking about what his grandfather, a WWII pow, told him: Even if you’re not making a lot of money, be your own boss in America. “He came to the U.S. from the Netherlands with nothing and started farming, then bought some apartments,” says Fisher. So Fisher turned down the job, and in 1998 he opened his own thing: Golden Eagle Window Cleaning. The business always suffered at the end of each year, so in 2006 he added holiday-­lights installation -- and it provided such a boost that by 2011, he was ready to franchise. 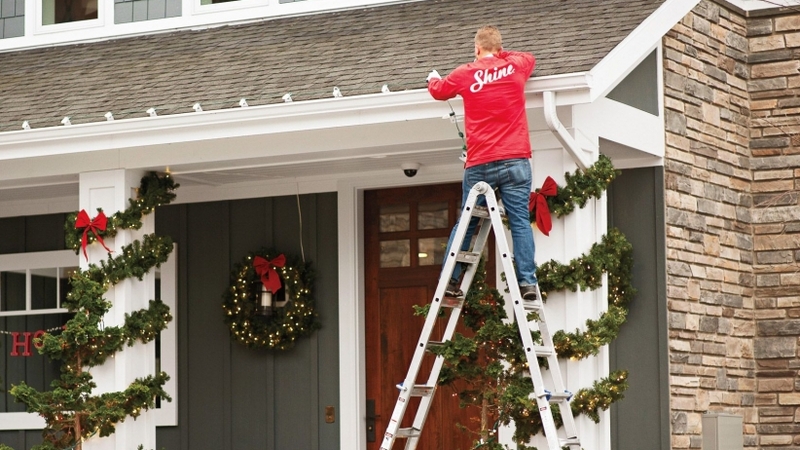 He rebranded as Shine Window Care and Holiday Lighting, and two of his longtime employees became his first franchisees. Then his wife was diagnosed with breast cancer; she recovered, but it convinced the couple to hit pause. They handed the business to friends, went to do missionary work in Uganda for two and a half years, then returned to the U.S. (and the business) in 2014. Today Shine has 21 units open and plans to add five to 10 new ones yearly for the next five years. Wait -- you started a franchise then went to Uganda for its first three years? Yes. I put my friend Matthew DeYoung in charge of growing the franchise. We met because we had both adopted a child from Ethiopia. Later I heard that one of his kids got leukemia. We both had faced adversity and shared the same faith and culture. The most important thing in our business was carrying on that culture of service. I know it sounds crazy, but he wanted to be a part of that culture. We had a mini ceremony where I handed over the keys to him. That does sound a little crazy. What makes your culture so special? It’s about caring about others. We want our customers to be happy with everything we do. It’s like that for our employees, too. We treat each other like family. Is washing windows and putting up lights people’s favorite thing? No. But helping and serving people? Yes. Most of our staff are in their 20s and 30s, and the idea is for them to someday own a franchise. So how does the Christmas-lights business work? 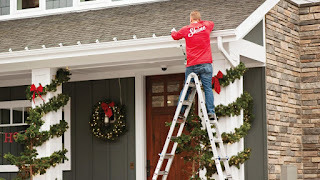 We want putting up lights to be stress-free and hassle-free, we want it to be safe and we want to give customers more time to spend with their families during the holidays. Our packages start at $500, and we provide everything -- the setup, the all-new LED lights. If there is an issue, we fix it. Then we take them down and store the lights in a tub till the next year. Our designs tend to be more classic Christmas versus the Griswolds. But if you want purple lights or team colors, we can accommodate that, too. Make sure to check the circuit. You don’t want all your Christmas lights to be on the same fuse as the hair dryer.